I remember I concluded that writing is It for me. Didn’t I? Yes…I know I did. What I find quite astonishing is the amount of time it is possible to spend thinking about writing and talking about writing, without necessarily writing. Justifiable? Maybe, given where I am at. Perhaps the most noteworthy thing about making a deliberate decision to embrace writing more seriously (hmm – “embrace” is a good word – invokes love affairs) is that the inevitable happens: Life gets in the way. It’s not something I can necessarily control. Events happen: sick family members, broken-down cars, rental inspections and teeth – never forget the accursed teeth (My Last Decent Meal)! Meanwhile, time can be used in many, many critical ways. I am a student in this craft. I’ve never invented a huge realm before. The first places come into view in my mind’s eye, and then I find I need to understand the adjacent land and interrelationships. It’s one thing to have an idea of two nations. but society is complex. Within a society there are so many strata and points of view, religions, political ideas – what do they look like for my people? Where do my characters fit in? How does this influence the primary conflict/dilemma/problem that is the linchpin of the story? I find I can write bits here and there, but until I have a clearer picture of background and context, including past history, I’m a bit hamstrung. 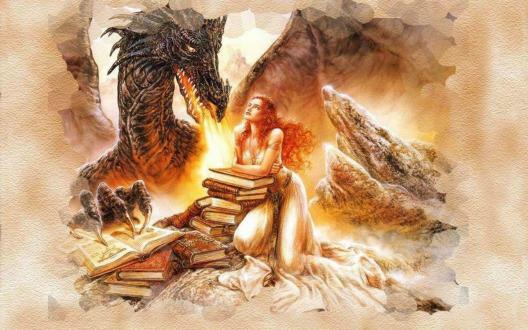 Even a fantasy in a newly created world requires research – research of imagination and vision and research that ties the imagined world back to the reality we know so that it is believable. it is this first phase that takes time – slow time, careful time, for once a world is created well it becomes a sure foundation for the future. All the while, I’m reading and every book I read teaches me something new. Once I was worried that whatever I read would influence my own writing style. Now, I’m learning that that doesn’t happen, and that sometimes reading a writer who uses more complex description and character thought is the very thing that I need to give me permission to delve into the depths of my own story and write it thoroughly. that is important to me as I’m so very accustomed to curbing my verbosity with many deletes! Above all, I’m reminding myself that I AM a writer. There are two things that I see time and again that divide the Real Writer from the Iwishiwasawriter. It’s not just spelling and grammar, either. The first is that a writer writes – I do, and have done since I could write, be it stories, poems, journals, letters or anything else. The second is like the first – a writer writes regardless of payment. I need to remind myself of this because self-esteem is a hard-won prize and self-doubt is a well-travelled path that can look alluringly easy. Thus, while my word count intentions are shot to ribbons and NaNoWriMo looks more nonsensical than its abbreviation, I am digging deep foundation in the depths of my mind. I am baking bricks to use to build a nation – two nations. At the other end of the scale, I dream the future and feel it now – watching myself joyfully signing books and receiving hugs of congratulations from my favourite Australian fantasy authors: Kate Forsyth, Kim Falconer, Anita Bell and others as I join their number. Nothing now is wasted – not one moment of action or feeling, drama or daily life, because as long as there is that, and stories, I am a writer. ~ by Dragonwyst on November 10, 2012. Keep going girl, you will make it.